Would like to rent a bus ? About the bus rental company Frankfurt Bus! The bus rental platform Frankfurt Bus is a co-operation between the tour company City Tours and carefully selected bus companies from Frankfurt, from surrounding Hesse, from entire Germany and from other European countries. Together with our partners, Frankfurt Bus can help you with the booking of charter buses for transfers and sightseeing tours in Frankfurt am Main as well as with the booking of coaches for bus excursions and bus tours in Hesse, in other parts of Germany and in entire Europe. Here, we are not talking about speed on the highway, but rather about the speed with which we answer to your requests for bus reservation. The team of Frankfurt Bus knows that your time is valuable, therefore we have prepared well in order to make the booking of a bus transfer or tour as fast and easy as possible for you. All bus reservations that are procedured through Frankfurt Bus are handled by the bus rental central of City Tours Europe in Vienna (Austria); the service being executed by bus companies from Frankfurt and surrounding Hesse or by other partner bus companies from Europe. The fact that all our bookings are centrally procedured and then handed over to bus companies from entire Europe gives you the advantage of having one single interlocutor for your bus reservation who will take care of all your needs from the first bus charter request until the end of your bus tour. The team of the City Tours bus reservation central is highly sensible for the needs of international clients when it comes to bus booking and can judge the weaknesses and strengths of the participating bus companies. Like this, with Frankfurt Bus you don't have to expect any bad surprises, but you will always get the coach which is most suitable for your individual needs and quality requirements. Rent a bus in Frankfurt?
. 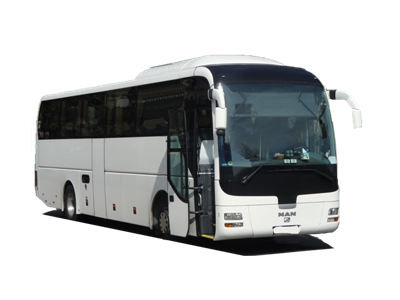 We will be pleased to provide you with an individual quote for a bus rental. All you need to do is send us the signed offer back in order to confirm your bus booking!